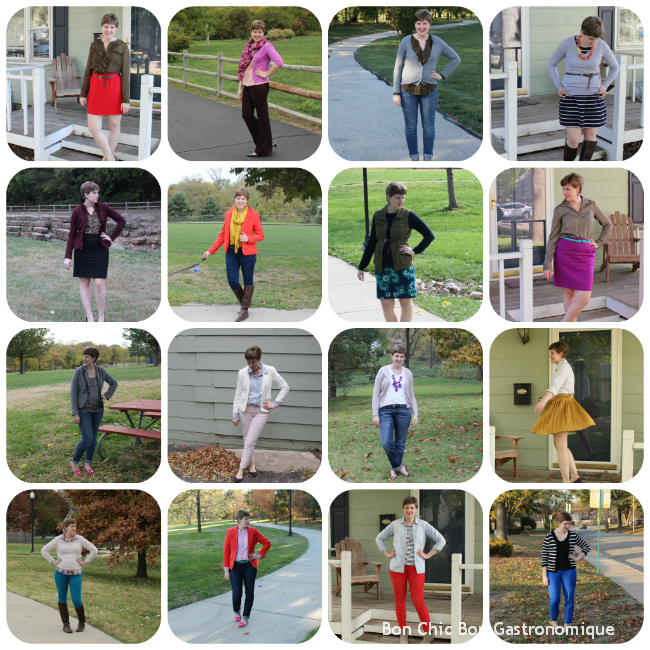 I enjoyed looking back over what I wore last month. I’ve said it before, but getting dressed is so much fun in the fall: the need for layering creates more possibilities, and the beautiful scenery enhances all the deep bold colors that are everywhere. I would say that color was my theme for October. What I read: This month’s reads, since they were so few, don’t get a separate page. I mentioned in a previous post that I’m reading Anna Karenina, but since I’m only about halfway through it will (hopefully) go on next month’s list. When I wasn’t reading Anna Karenina, the mood struck to reread a few favorites. I reread the Twilight series (something about this time of year makes me want to read it, and yes, I know literature it’s not) and Flowers in the Attic. A sad, creepy, haunting tale was the perfect way to wrap up Halloween month. What was your favorite thing about October?